I used to wonder about my salt obsessed friends. Why didn’t they worry about high blood pressure and hypertension? Instead, there didn’t seem to be a meal during which they didn’t fret over which salt to best lavish on what. And then, it happened to me. It began with flakes, progressed to powdered varieties; pink, crystal forms from far-away lands; deep sea — including the widely-revered Maldon flakes; and eventually, a romance with more exotic flavors such as truffle infused salt. The possibilities were endless. Food became incomplete without a sprinkle of salty heaven. 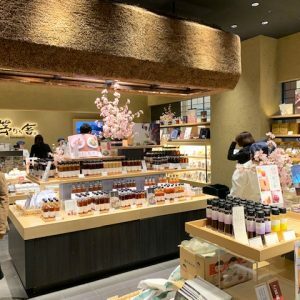 When I chanced on Ma-suya, an all-encompassing salt emporium in the central Tokyo district of Azabu Juban, my culinary world seemed nearly complete. Everything from Maldon flakes to salt for tempura and salt for steak at Ma-suya. Life in Japan abounds with salt. It’s a purification rite, believed to cleanse the spirit. Salt is left on both sides of entrances to homes and restaurants in order to ward off bad spirits. Even sumo wrestlers get in on the act, throwing handfuls of salt around the dohyo, or ring, to purify the space and remind spectators that they are at the mercy of the kami, or gods. On my first visit to Ma-suya’s Azabu Juban store, I instantly began thinking of higher realms. A multitude of salt varieties for cleansing and purification were stacked along shelves at the back for those seeking spa-purpose salt. Facial scrubs, salty massage oil and bath salts — all gave an alluring glimpse into the mineral’s benefits for the skin. For a brief moment, I seriously thought purification might start from the outside. A customer consults with a salt specialist at Ma-suya, with body care salts in the background. For more hard-core “saltarians” like myself, the main attraction had to be a section created for serious salt tasting. I was drawn to an intriguing tray with 60 small wells containing salts, divided and categorized by both their recommended uses and their flavors, from spicy to sweet. I was surprised and delighted to see there was not one, but two “salt sommeliers” standing by to take me through the dizzying selection. I told them I appreciated the umami experience of a sweet-salty combination on foods like avocado and nut butters, and was quickly taken through several choices. We then moved on to salts that I might like to sprinkle on simply grilled fish, plus another salt for raw fish sashimi. The fish salt was somewhat complex with a sharp, earthy quality. I readily found some I liked, and discovered another salt that was perfect for steak, plus a special one for accompanying sake that had a sharp quality just waiting for the smooth, fruity taste of a dry sake. My little shopping basket was filling up fast as we segued to blended salts. I couldn’t resist the yuzu citrus salt blended with sesame, and made a note to come back for some matcha green tea salt, rice-topping salt intended to add delicate flavor to the blandness of rice, ume plum salt which perfectly balanced the salty and the sweet, bonito-flavored salt, basil and hibiscus-blend salt and several spicy varieties. 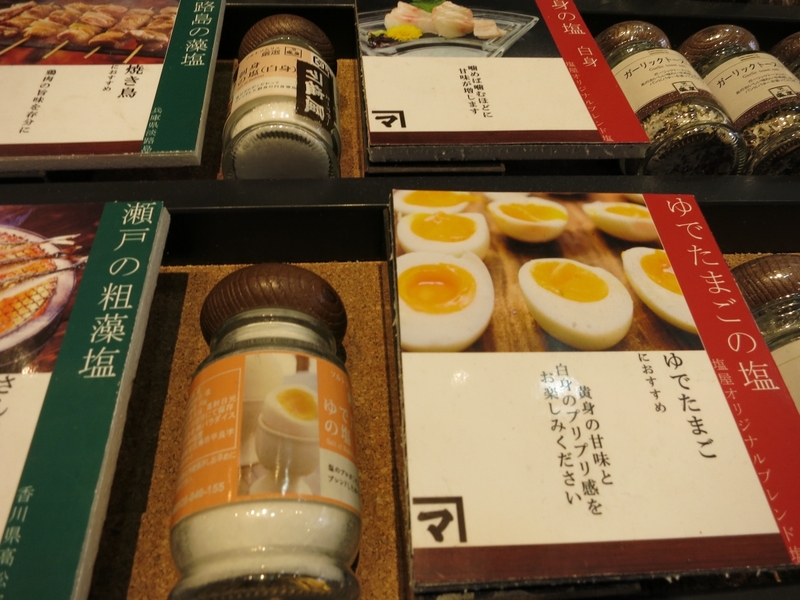 There were even salts specifically for boiled eggs that were blended to support the white of the egg in harmony with the yolk and for ramping up the flavors of soup. I could see myself easily fulfilling my “souvenir from Japan” quota for foreign friends on an upcoming trip, as well as my own pantry. Salt for eggs and above, salt for white fish sashimi (raw fish) at Ma-suya. 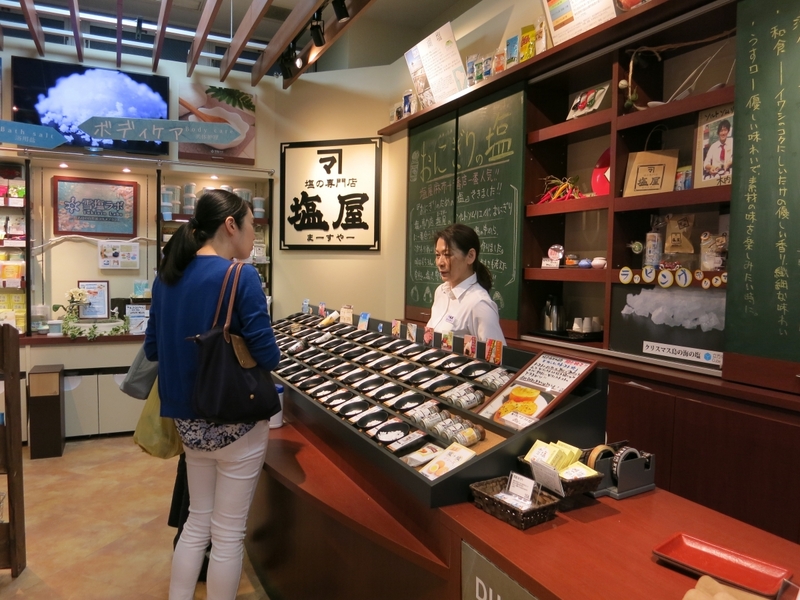 Over in a corner were salted sweets, and tempting tasting portions for customers of small coconut, strawberry and chocolate flavored salt drops that melt slowly in the mouth. I had to add some of those small packages of intense flavor to my basket. 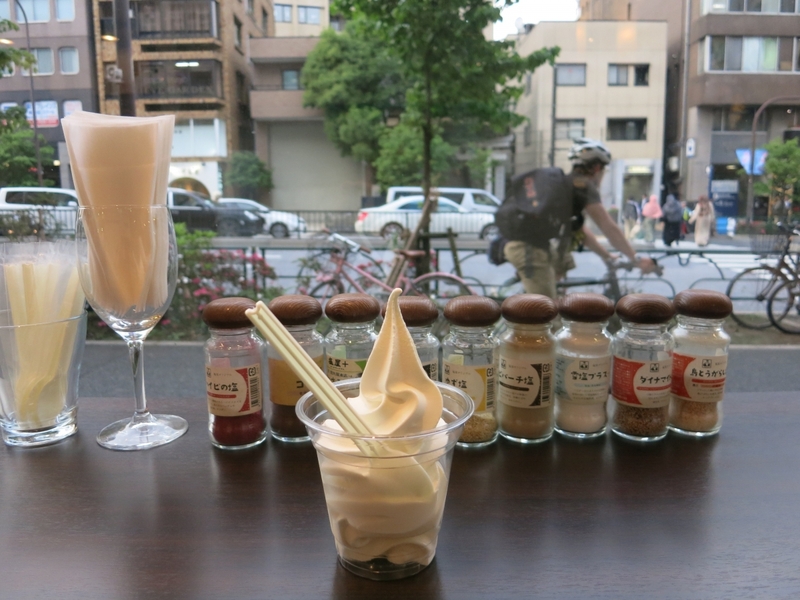 My favorite section of Ma-suya, though, was the piece de résistance of my salt tastings: yukisio (“snow salt”) infused soft-serve ice cream made from milk, dished up in cups or crunchy wafer cones. 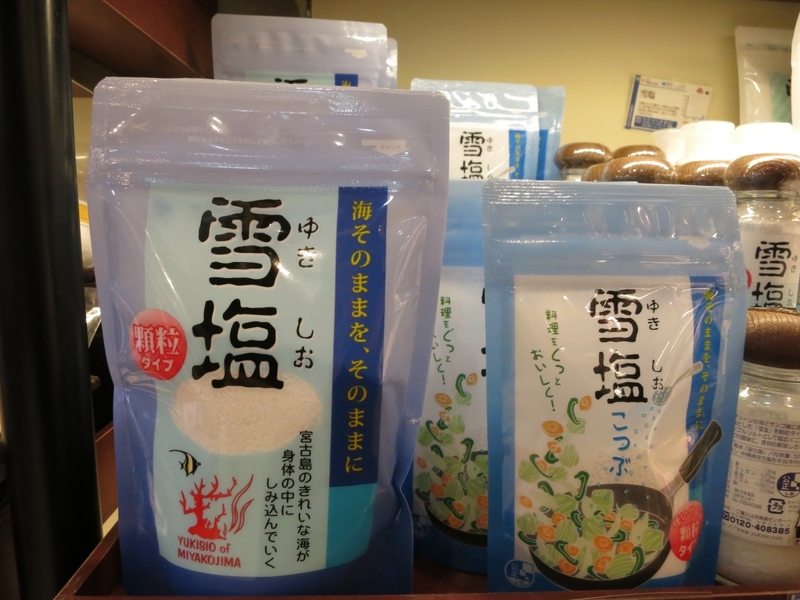 Yukisio, or snow salt, from tropical Miyakojima, Okinawa Prefecture. I began the next stage of my salt-experience odyssey seated at a small counter, clutching a frosty dish of yukisio ice cream. It was hard not to just polish it off immediately. But the salt shakers lined up before me were not to be bypassed. The concierge encouraged me to sprinkle small amounts onto the ice cream and scoop it up for a taste. I could start with sweet, spicy or mild and proceed from there. I went for what looked to be the sweetest, the salt with cocoa. Emboldened by my expanding taste buds, I began frenziedly scattering and scooping. Tart hibiscus followed by citrusy yuzu, fragrant sesame, perfumed green tea and a tricky tasting wasabi salt followed. The Okinawa pepper and Okinawa chili were taste sensations after the coolness of the ice cream. But nothing came close to the extra-fine yukisio powdery salt that elevated the cream into an umami overdrive. The selection of salt toppings makes it difficult to finish the soft-serve ice cream in one go. 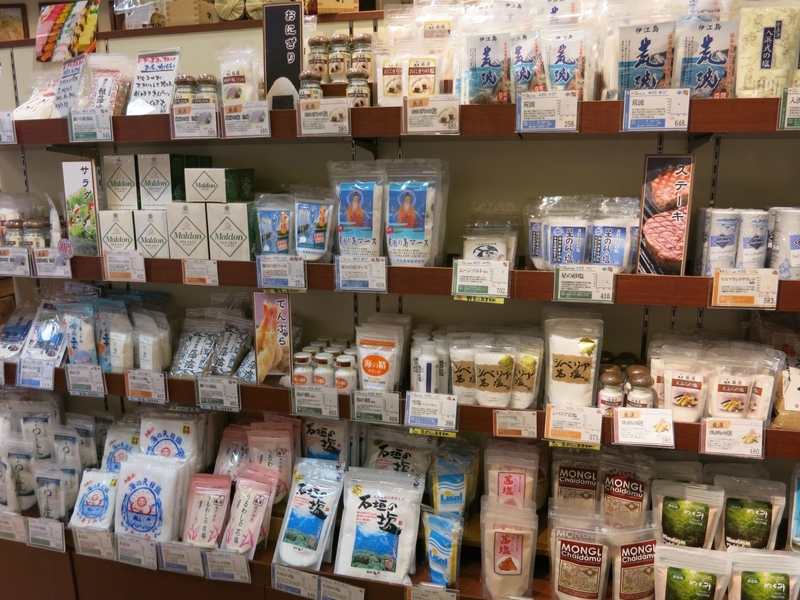 In my saline-induced bliss, I went back to the store shelves to buy even more varieties including yukisio salt at around 400 yen for a small packet, in keeping with the price of most salts. I also spied a hefty salt grinder, but decided to save it for my next visit. 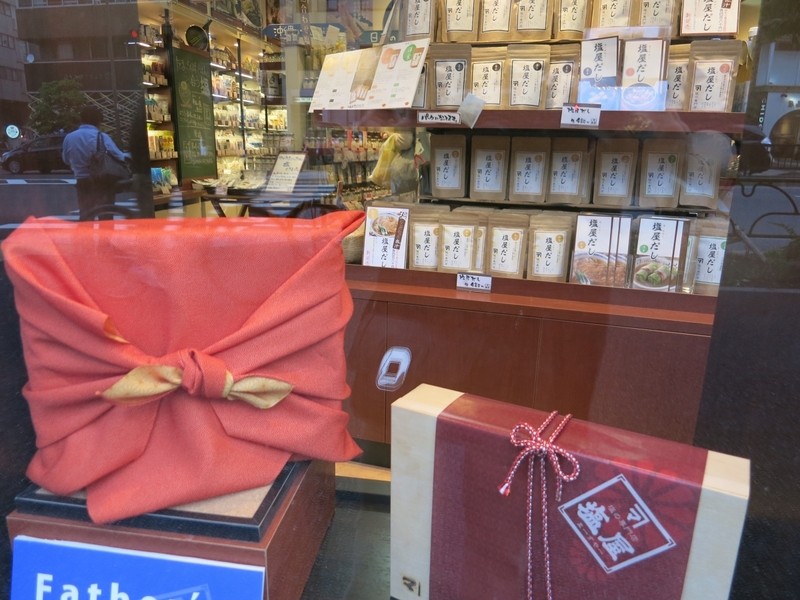 The store beautifully wrapped some of my gift items in traditional Japanese boxes. 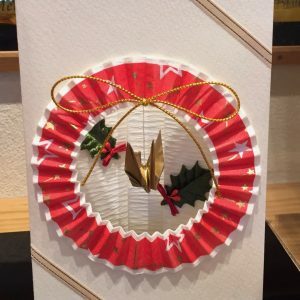 A gift box of salt packages wrapped in a traditional furoshiki. Ma-suya’s Okinawa-based owners have two stores in Tokyo. 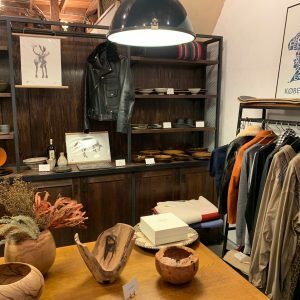 The English-speaking staff at the Azabu Juban store are delightful and made my salt-happy heart sing.